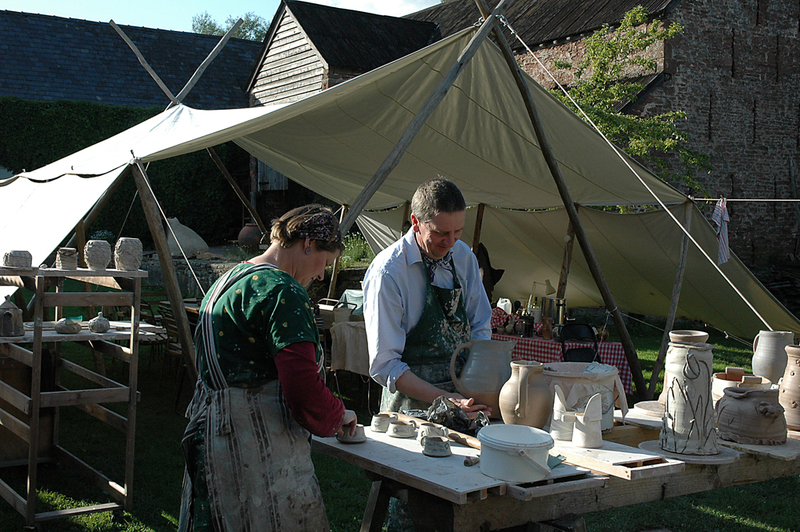 Amateur potter and architect, Catherine Yeatman reviews the Wobage courses she attended in 2009. With the new Wobage kiln-site shed completed a few weeks ago, Patia is now making good progress with the building of her updraught wood-kiln. 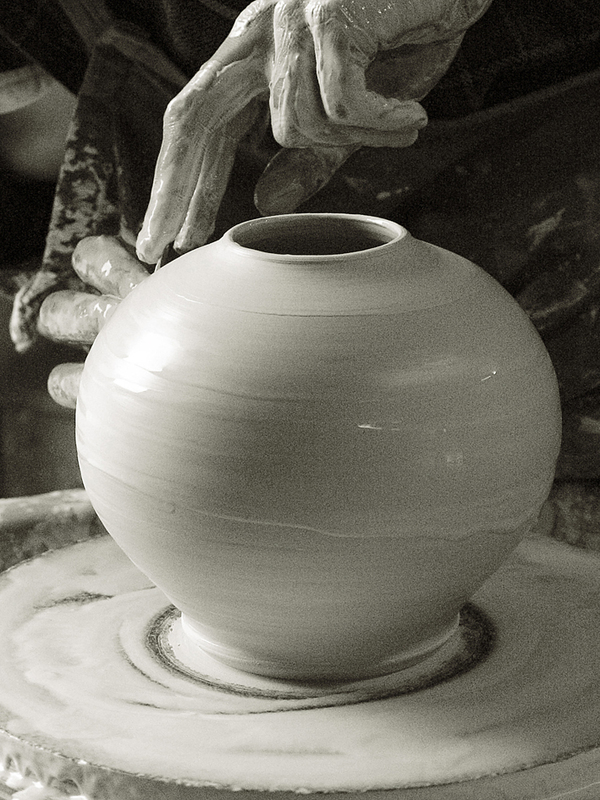 Once complete, she will journey towards wood-firing her earthenware which is currently electric fired. Patia was inspired by a similar kiln which she helped build and fire with Clive Bowen at Aberystwyth Arts Centre in 2007. Her design encompasses two catenary arch fireboxes, a round chamber and domed roof. We eagerly await her first trials later in the year, in anticipation of ever more seductive surfaces; that added warmth, softness and serendipitous generosity of wood-firing. In combination with Patia’s bold and already sumptuous decoration, mmm, can’t wait! 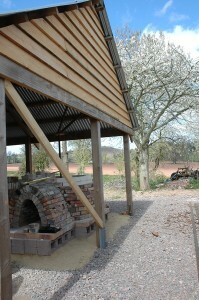 The kiln-build will be documented with regular picture updates on the end of Patia’s profile page. 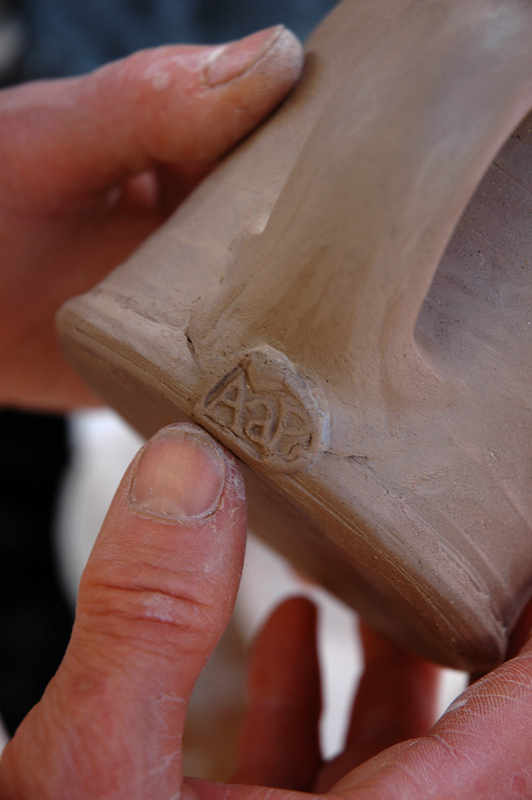 Sheila Herring has been busily making mugs to donate to the ‘Adopt a Potter’ Trust which is supporting her apprenticeship to Jeremy this year. Jeremy has designed the shape and handle for the mug, which have been adapted to three different sizes. A batch have just been beautifully fired in the small wood-salt kiln. 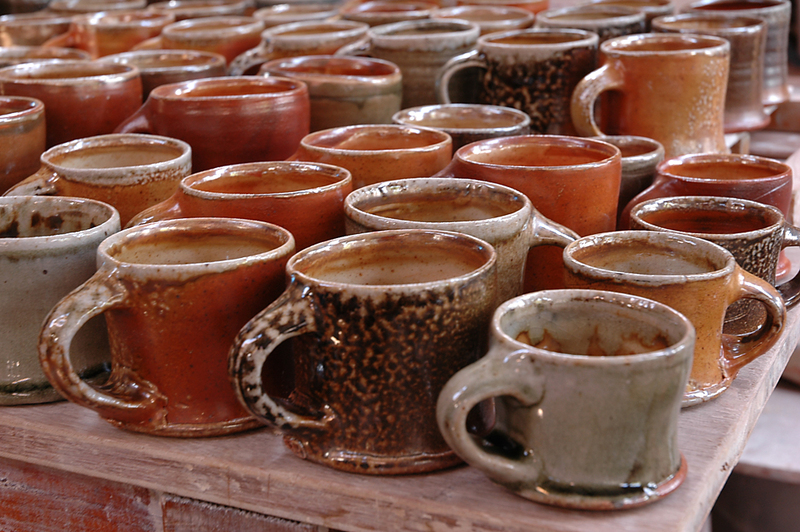 These mugs will be sold at Ceramics fairs over the Summer, at ‘Earth & Fire’ at Rufford Park in June and at ‘Art in Clay’, Hatfield House in August. For dates and details of these fairs, hover then click on the above hyperlinks.